Yeehaw! 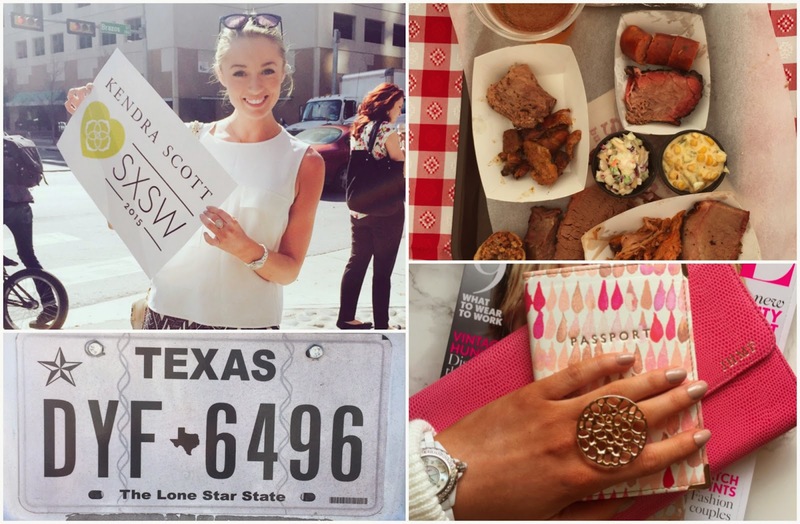 I’m writing this post from Austin, Texas where I’ll be spending the next few days for the SxSW festival. I’m out here on a work trip but of course I’ve managed to explore the local shopping scene, as well as some local eateries! … Putting my lovely new Aspinal passport case to use! How pretty is this leather cover! I got it from The Apartment during London Fashion Week and although it’s already featured in several of my Instagram posts, I was excited to use it for real. Also in the image is a stunning ring from La Corza – you might recognise the style as I wore a bracelet from the brand in my recent OOTD post here. … Experiencing the world’s best BBQ! I thought that I’d had some pretty good BBQ food in the past, but oh my gosh out here it’s just a whole other level! The pulled pork is so tender, the chicken so tasty, and the beef is chargrilled to perfection. You can see from my picture above that Texas folk don’t waste any space by giving you side dishes, just meat with a side of meat! … Exploring Austin Texas. Now this is one seriously weird town. Absolutely no offence intended to anyone that lives here but I’ve never been anywhere like this! Some streets it’s deserted, some it’s totally rammed, everything is HUGE (from the shops, to the food portions to the vehicles!) and shopping malls are about the size of the average English town! The great thing about Austin is that everyone here is so laid back. No one rushes you, everyone is super polite and there’s just a relaxed atmosphere even during the crazy SxSW festival! … Exploring the shopping malls of Austin Texas. As mentioned above, the malls here are as big as towns. The security guards scoot around on Segways and it takes you half an hour to walk from one end to the other. It makes Westfield look mini! I’ve treated myself to some lovely goodies, including some sandals from Tory Burch, some Sephora makeup (duh!) and some home pieces from Anthropologie. Shall I do a haul post? !